My Kiehl's Skincare / Gee Whiskers! 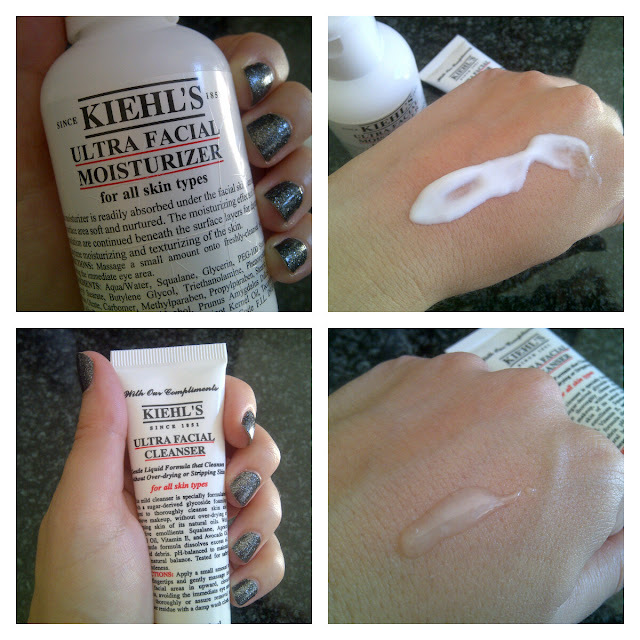 A while ago I won a Kiehl's giveaway and have only started to use it now because I was finishing off my usual products. I really love Kiehl's products. I've written a few posts about the brand and some of the products I have used (read them here). I love using gel cleansers. I need to have a squeaky clean feeling on my skin else I simply hate using a face wash. This cleanser gives me that feeling without making my skin feel as though all the moisture has been sucked out of it. I have quite sensitive skin so this cleanser is perfectly suited for someone like me. This moisturiser is a great all day moisturiser. My skin immediately absorbs all the cream and doesn't leave my skin with any sticky or greasy feeling. My skin has responded very well to this moisturiser and over the past 3 weeks I have noticed that my skin is feeling very soft and looks hydrated all day long. A tiny amount of this covers your entire face and a bottle this size will last me a good few months. In the evenings I use the Midnight Recovery Concentrate to supplement the moisturiser and I wake up with beautifully hydrated skin - it literally looks fresh and dewy (Read my review of the Midnight Recovery Concentrate here). I won these two products in a competition a few months ago, read the post here. That is very good self control! I literally shoved my three-quarter full Clarins products in a drawer and started using my Kiehl's straight away. Still feeling guilty about that. I have the same cleanser and moisturiser and I love them, they are brilliant. I really struggled to fight the urge to open them up - but I am trying to be a behave and use things up before getting more. I end up giving away SO MANY great, half-used products away. I'm enjoying these products, especially with my anaemia - my skin is taking a HUGE knock. I wan to try out more of the range!